In which the League encounters the Fangirls. Mr. Darcy had called together his staff. “Gentlemen, it has been a week, and we have not had a report from the Blackguards,” he said. “They might be, er, busy,” said Mr. Bingley. The ballroom doors burst open at that moment, and two ragged figures staggered in. “Help us,” cried one of the men, who was supporting the other. “Is that—Willoughby?” gasped Mr. Darcy. “And Elliot?” said Bingley in astonishment. Various people rushed to their aid. The men’s torn clothing, which looked as though it had been ripped off them by many eager hands, was covered with blankets, and they were each given a large glass of brandy. Mr. Elliot burst into tears. After an hour or so, and another brandy, at last they were able to give a disjointed version of their adventures. “But where is Mr. Crawford?” asked Mrs. Bertram. The gentlemen all looked at her in surprise. “He is fallen?” asked Darcy. Colonel Brandon saluted, and the boats were launched from the Laconia, the Grappler, and the Asp, carrying the Marines and the special army force to the shore. The Marines were sorted into ranks and files, and, led by Colonel Brandon, Colonel Fitzwilliam, and Captain Tilney, they marched for a mile or so through a wood, unable to see their destination until they emerged and saw it sitting on a high point. Colonel Fitzwilliam stopped, startled. “It looks just like…Pemberley,” he said. The troops held up, and the three officers prepared to make their assault. They crept around behind the house, though secrecy was not necessary; the grounds were deserted, and the front door was wide open. They exchanged looks, and entered silently. They crept along the hallway, which was in disarray; scattered papers, quills, abandoned laptops, and empty Nutella jars lay about. Music and voices echoed from the drawing-room, growing louder as they approached. The door to the drawing-room stood open, only a thin black veil covering the door. They drew it back, and though they were all experienced military men who had seen many battles, they nearly swooned from the horrid sight before them. Mr. Crawford was tied to a chair, his coat, waistcoat, and cravat all gone; his breeches hung in tatters; his shirt was still intact, but was untucked and hung slackly. His head lolled to one side, his eyes open but expressionless. His chair was surrounded with women, some sitting on the floor and some at tables, typing on keyboards and scribbling on paper. “Wet him down again!” cried one of the women, and the others took up the cry: “Wet! Wet! Wet! Wet! Wet!” they chanted, pounding their fists on the tables. Crawford roused at this. He let out a weak protest: “No, please,” he whimpered. “Wet! Wet! Wet! Wet! Wet! Wet!” the women chanted, their cries rising in volume and intensity. John Thorpe stepped forward, and cast a bucket of water over Crawford. His back arched and he let out a despairing cry. Thorpe cast another bucket of water over him. The women cheered; some flung empty Nutella jars at Crawford. After a moment they settled down and went back to their work. “How can you just stand there and let them do—that—to poor Crawford?” cried Colonel Brandon. “Well, you know, it didn’t seem so bad at first. The ladies were happy to see the other gents. Dashing coves, you know. Made themselves agreeable to the ladies. But then it just seemed to get…” his voice trailed off, and a blank look came into his eyes. There was a moment of silence; then the fangirls shrieked, flung papers, and charged out of the room. The officers quickly untied the by-now unconscious Crawford. Tilney flung him over his shoulder, and with Thorpe in tow, they made their way back to the woods where the Marines waited. Crawford was transferred to a stretcher, and the troops quickly marched back to the beach. They fired off a red rocket and launched the boats. The Marines laid Crawford gently on a borrowed bedroll in one of the boats, and the officers sat with him and watched over him carefully. As the boats neared the Laconia, he opened his eyes. Captain Tilney and Colonel Fitzwilliam exchanged glances. “He’ll be a long time getting over this,” said Fitzwilliam. None of them spoke what they were all thinking: this mission was the League’s first failure. It could be excused that the blackguards were not proper gentlemen, and, as Admiral Croft had pointed out, not the steadiest fellows; but the operation had been launched under Mr. Darcy’s aegis and at his express request. They wondered how their leader would react. Was it a sign that the League would not be able to achieve its mission? 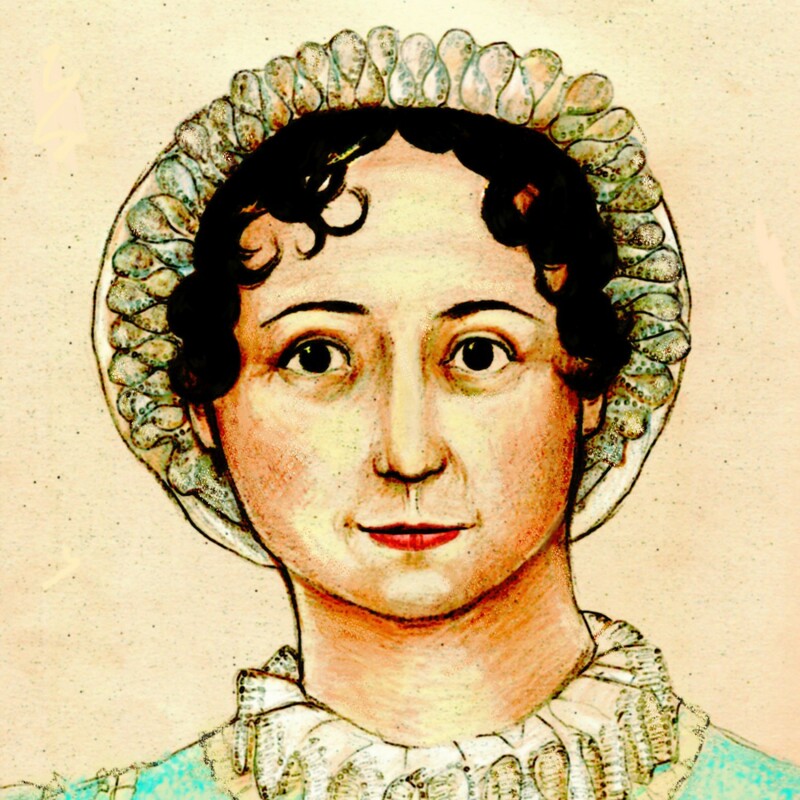 Were Jane Austen’s novels doomed to be overwhelmed by the forces of popular culture? If asked, these gentlemen would all have said, “I will fight until the end,” but they could not help but wonder if their efforts might, in the end, be futile. Only one thing could save them now. Still, the gallant gentlemen will surely prevail, at least for a time! I am all anticipation of which ladies will come to the aid of Miss Austen. If I was a betin’ person of the feminine persuasion such as the Duchess of Dev., I would put odds on the 7 major heroine’s, but secretly hope it was Lady Susan, who could whup anyone into submission just with her wicked smile. You bet Wentworth has experience with fangirls. Love this installment, especially the Nutella jars! This whole series is brilliant! But is there some joke about Nutella that I am not getting? I just realized I’ve been writing JA fanfic for TWELVE YEARS. Good heavens. NOOOOOO!!! It can’t end that way!! The League of Jane Austen’s Extraordinary Gentlemen will prevail!! Be of good cheer. But I’m afraid there is only one more chapter. So would I! Wish I had talent in that direction.